The legendary Hollywood beauty, the most talked of actress in 1960s for her sky-high romance with Richard Burton and for her 8-times marriages, has left the stage at the age of 79. Born in 1932 in Hampstead, London to wealthy parents, she moved to Los Angeles in 1939 to avoid the hostilities of the second Worls War. 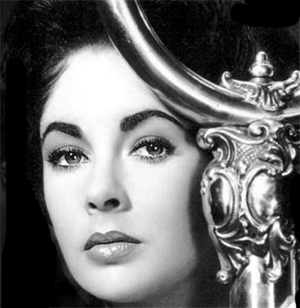 With the efforts of her mother, herself an actress, Liz got an offer in a film as early as 1941, purely on the strength of her cherubic beauty. But she has to wait long to receive accolade after her adult role in 1950 with Spencer Tracy in a comedy film 'Father of the Bride'. But there was a windfall of her fortune and fame when she co-starred with Richard Burton as geogeous 'Cleopatra' in 1960. The world belonged to her. Her tumuluous romance with Burton was the talk of the town across the world. Her two films both with Burton 'Butterfield 8' in 1960 and 'Who is afraid of Virginia Wolf' in 1966 won the Oscars. True, she ultimately fell short of time on this earth. But her name and fame will be engraved in golden letters in the history of show business, not just for her angelic beauty but also for portraying the roles she played in movies. 'Boloji' pays rich tributes to this great artist and prays for her soul to rest in peace. Besides quoting Shakespeare, please quote Tagore too, Kumud babu! She deserves much more... eyes are sanctified by a mere look at her, for beauty belongs the lord. Thank you. To quote from Shakespeare's Antony and Cleopatra - Age cannot wither her, nor custom stale her infinite variety. Does as an actress Elizabeth Taylor deserve these lines? Thank you, Shaili for sharing the sorrow and paying the homage to her.